Lately, I seem to be obsessed with Okra. In my last post, I shared a simple way of making okra, that guarantees the removal of the slime that many people hate about the nutritious vegetable. 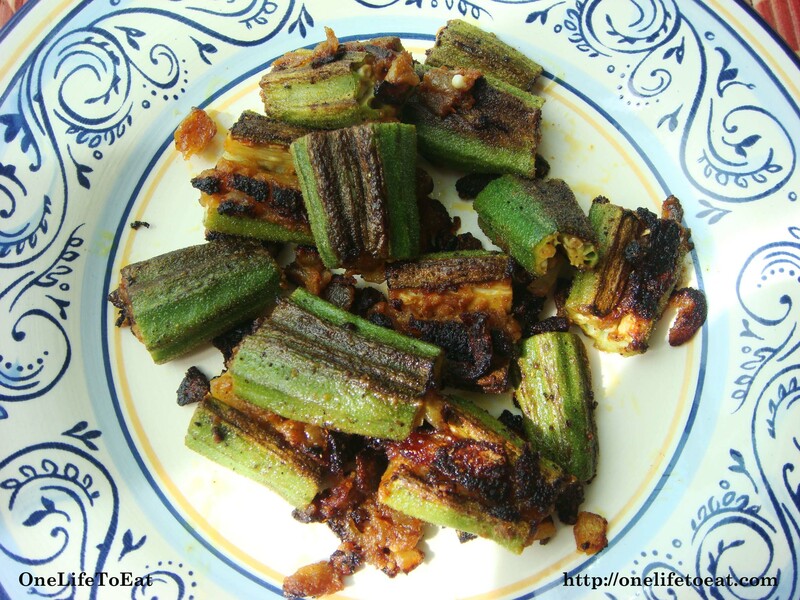 I’ve never enjoyed okra, but after enjoying the gujarati style crispy okra for several weeknights, I was finally brave enough to try something truly different with ‘ladies fingers’. I asked my mother for a fool-proof recipe that ends up looking like you spent hours on it, and she shared her own recipe for stuffed okra with me. Her recipe uses a spice that I don’t utilize in any of my regular dishes – aamchur. Aamchur, literally in hindi means, powdered mango. This tangy spice that actually, isn’t even spicy, is made with grinding sun-dried slices of raw mango. 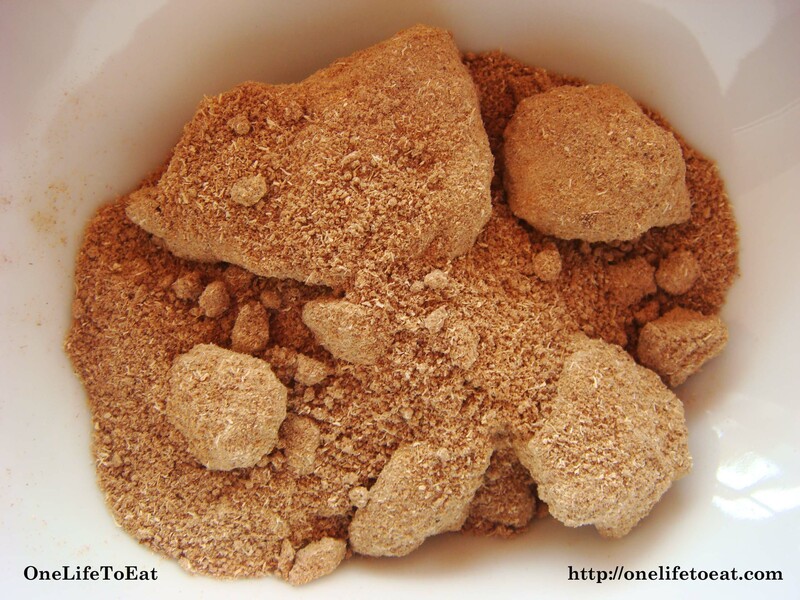 The simple spice is mainly used for its ability to add a sour flavor to dishes. Aamchur, with a liberal portion of lemon juice, removes the slime from okra, while making my mother’s Tangy Stuffed Okra, truly lip-smacking tangy. Get a printable version of this recipe here. The first step is to make the stuffing. In a non-stick pan, heat 1tbsp of oil. When heated, add the shopped onions and curry leaves and fry on medium heat till the mixture turns a light brown. Once this stage is reached, add all the dry spices with the ginger & garlic paste. Mix well. If it is too dry, add 3-4 drops of water and mix well. Allow to cook for 1 minute or so, add the lemon juice, mix well, and take off heat. Allow to cool. Now prep the okra for stuffing. Cut off the ends of the okra and make about 3 inch pieces of each okra finger. With a paring knife, make a slit halfway across the 3-inch piece of okra, making sure not to cut through and through. Prepare all the okra like this and keep aside. 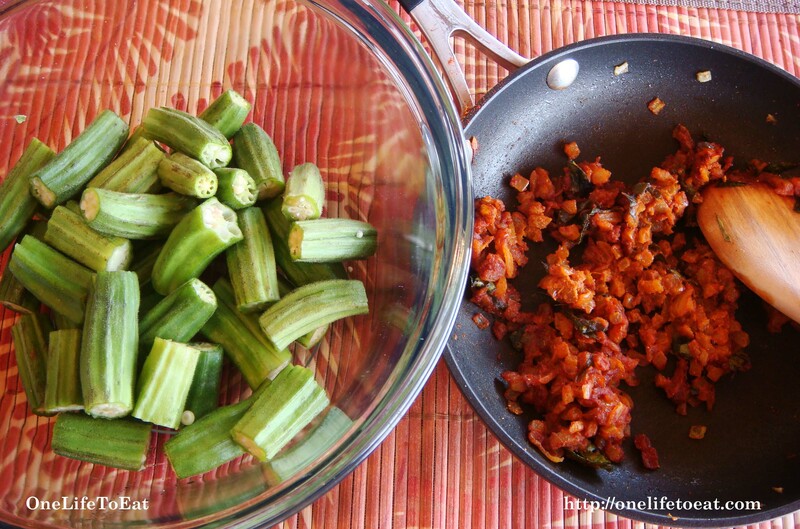 Once the stuffing is cooled down, stuff a small quantity of it in the okra, using your fingers. If your skin is allergic to spices, you can use plastic gloves for this step. Finally, the okra is ready to cook. In a large non-stick pan, heat 2 tbsp of oil and spread it around the pan so it coats the bottom of the pan. Place each okra individually, covering the whole pan. Allow to cook on one side for about 7-8 minutes on medium heat. With a small pair of tongs or a spoon, turn each okra gently over so the other side cooks. Once all the okra are cooked from all sides and are crispy, turn off heat. Enjoy with hot Roti’s or Dal & Rice. I some how can’t be creative with Okra. I always end up making Indian fryed masala bhindi. Because that really cuts the slime. I think its time to venture out and try this ! I can’t believe you stuffed each individual okra, what dedication. This mango powder is new to me, sounds very interesting and would love to try it. How does a curry leaf look like? I think I have a curry plant in my front yard, it smells like it and looks a bit like an olive colored rosemary bush. The effort was totally worth it Sarah. Besides, it doesn’t take that much time once you get the hang of it. Amchur powder is quite an interesting spice. I add it to some dishes when I feel something is missing. There’s no significant change in flavor, but the dish somehow tastes much better with it. 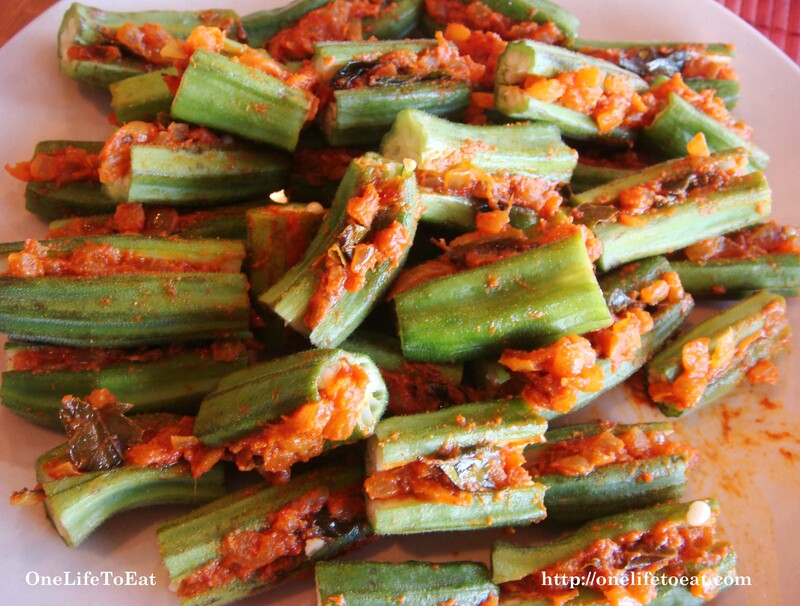 In this recipe of course, it is used to cut down the slime in Okra. Smells a lot like lemons and it actually grows into a full tree. 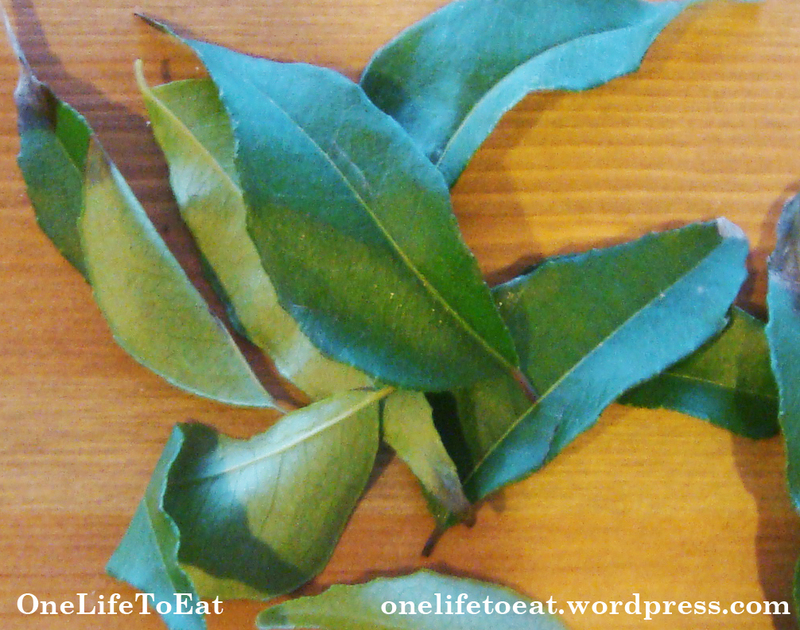 See my glossary section for more info on the Curry leaf. Get OneLifeToEat in the mail!